AUCKLAND – Tourists coming to New Zealand’s biggest city will be forced to pay taxes to help the city host concerts and sports events. On June 1st the Finance and Performance Committee of Auckland, New Zealand, voted on, and approved a proposed bed tax to be levied on retail accommodation in the city. The new tax will be paid by businesses in the accommodation industry, at a rate of NZD 3 to NZD 6 per night per customer for hotels, and NZD 1 to NZD 3 for motels. The tax is intended to raise as much as NZD 135 million per year, with the funds earmarked for payment of the costs associated with hosting international events in the city. The tax was passed with 11 votes in support and 8 votes in oppositions, however two of the council members abstained from voting. 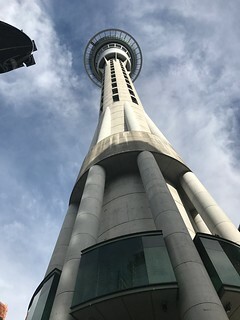 The tax has been a long-discussed and controversial proposal in Auckland, which has seen strong detractors from the industry, but with strong detractors who claim that the measure is needed in order to raise funds and alleviate the financial pressure placed on local rate payers.